If you’re a sci-fi fan or even just a fan of good old science, you know the advances being made in robotics. From the robot vacuum to the automated assembly line, we are seeing robots take over repetitive jobs. They’re everywhere; their little stiff knees are walking them into all aspects of our lives. So, I know you’ve imagined it. I know you’ve thought about it: The day when they create a robot that takes the place of volunteers. Here’s how it goes. You just program in exactly what task you want the Roboteer to perform and voila! 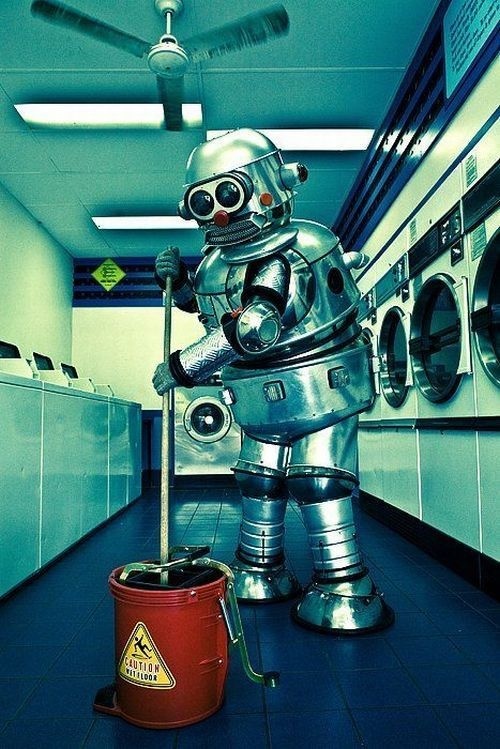 The task is completed with no calling in sick, no lengthy vacations, no listening to it talk about it’s Roboteer life, no questions, and no job that you have to re-do. You need a Roboteer to mentor a child? Just program it to have a digitally compassionate voice. You need it to help set up an event? Just program it to go all day and never sit down for a glass of water. What about meals on wheels? Well, just program it to not only deliver the meals, but to spend 15 minutes giving the shut-in some socialization. And when the 15 minutes are up? It shuts down on that needy shut-in so that it is never off schedule. What a perfect solution it is. Why not? 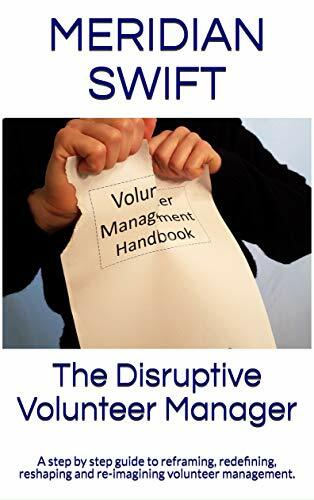 You wouldn’t have to pay volunteer managers and besides, volunteers are ancillary anyway, right? And they do repetitive jobs, don’t they? I’m picturing it right now. Somebody (not me, I’ve been laid off) gets a request for a volunteer to visit a patient in a nursing home. That somebody opens the closet, turns the key on a spiffy metal pal with a name like Compassion Nate 3000, and programs the coordinates in. The eyes open and it hums, “I am ready to serve”. Then it’s off to the nursing home, where it zips into the patient’s room. Our patient, Miss Aida, who has been dozing, wakes to see a metallic face peering down. Miss Aida starts screaming as Compassion Nate grabs her wrist and in a soothing electronic voice says “calm down, I am here to serve you” over and over. The patient continues to scream until one of the nursing home robots, Facility Friend 800 comes in and tries to remove Roboteer Compassion Nate. Nate, being the newer model, pulverizes Facility Friend, turning her into scrap. Miss Aida, now traumatized, is subdued by real humans. Take a piece of Dottie, who will mentor any new volunteer. She just mentored two yesterday, at different times in different locations. “It’s important.” she says matter of factly. Add a piece of Bryan, who will drop everything and make sure a dying veteran gets a visit. Oh, and steal some of Glynn who always arrives on time and asks if she can do anything extra. Top it off with a bit of Cara, who simply glows when she is with patients and families. Ahh, the future. Or maybe, just maybe, volunteering will go the way of kneading pie dough, painting a waterfall on canvas or sewing a quilt. Machines can do those things, but we choose to do them, because they invoke feelings of connection and accomplishment. Which then makes me wonder. Can we separate the task portion of volunteering from the reward portion? Or is volunteering more about breathing in unison with a dying patient to establish that perfect moment of imperfect human connection? I’d like to see Robopanion 200 do that! What a fantastic post – I was laughing in the middle and close to tears at the end when I read… Or is volunteering more about breathing in unison with a dying patient to establish that perfect moment of imperfect human connection. For me this sentence had real “oomph”. 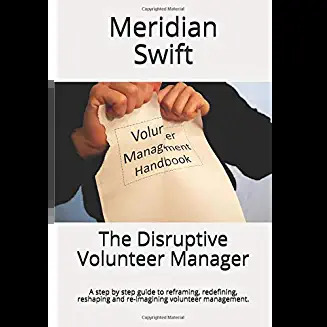 Sitting in my volunteering policy/ practice role feeling fairly well removed from the day to day volunteering experience this was a real reminder of the value of volunteering for the volunteers, those receiving their support and the organisations they work with. Thank you. Thank you Rachel! I know I tend to complain less, and be more focused on the intrinsic nature of volunteering when I tear myself away from the office and go be with volunteers and patients. How it refreshes the soul! I have got to do that more and more. Being with patients is life blood and being with volunteers (especially new ones) who have that ahhh moment makes it all worthwhile. A wonderful reminder of the humanity of volunteering!